Students selected for our scholarships will receive a financial award for the 2019-20 academic year and be invited to the annual Google Scholars' Retreat in their region next summer. At the retreat, scholars will participate in networking and development sessions, including sessions on how to lead outreach in their communities. Scholars also join a community of former scholarship recipients for continued networking and development. 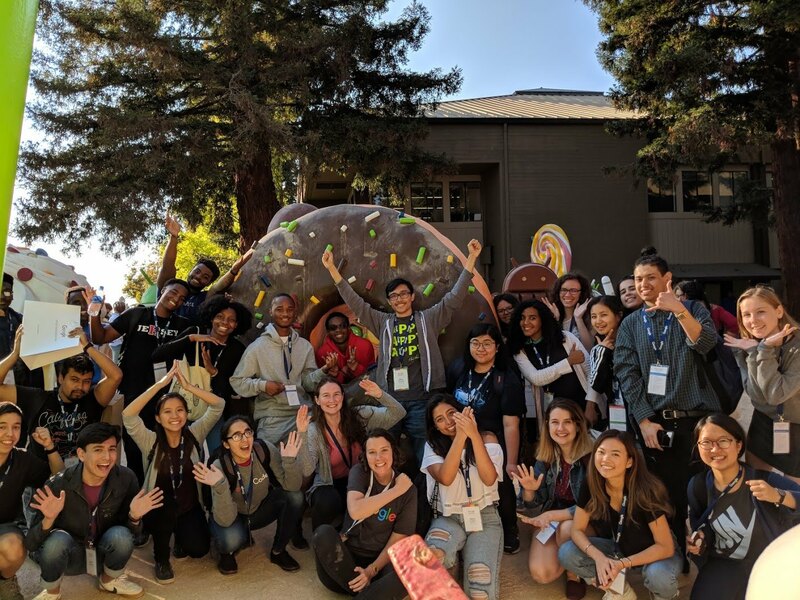 Check out each program below: Women Techmakers Scholars Program (United States/Canada/EMEA - Asia Pacific will open in early 2019) The Women Techmakers Scholars Program (formerly known as the Google Anita Borg Memorial Scholarship) continues to honor Dr. Anita Borg and her legacy of encouraging the presence of women in computing. The program is open to current undergraduate or graduate students who will be studying at a university for the 2019-2020 academic year. We strongly encourage students who identify as female to apply. Generation Google Scholarship (United States/Canada) The Generation Google Scholarship was established to help aspiring computer scientists to excel in technology and become leaders in the field. This program supports current undergraduate or graduate students who will be studying at a university in the United States or Canada for the 2019-2020 academic year. We strongly encourage students from historically underrepresented groups, including Black/African American, Hispanic/Latino, American Indian, or Filipino/Native Hawaiian/Pacific Islander, to apply. Google Lime Scholarship (United States/Canada - open now) and The Google Europe Scholarship for Students with Disabilities We’re continuing to partner with Lime Connect (United States/Canada) and EmployAbility (Europe) - nonprofit organizations that support students with disabilities while they pursue education and promising careers - to help university students with disabilities work toward their academic goals in the field of computer science. The scholarship is open to current undergraduate or graduate students with disabilities who will be studying at a university for the 2019-2020 academic year. Google Student Veterans of America (SVA) Scholarship (United States) Google established Google SVA Scholarship in partnership with Student Veterans of America in 2012 as part of our commitment to military veterans. The scholarship provides assistance to student veterans or students on Active Duty who are pursuing a degree in computer science at a university for the 2019-2020 academic year. Please visit each program’s website for specific details, application information, and deadlines. We encourage all students who meet the eligibility criteria to apply! At Google, we believe information should be universally accessible. Our education and scholarship programs aim to inspire and help students become future leaders in computing and technology by breaking down the barriers that prevent them from entering these fields.